Contact us today to find the right Pump solution for your needs. The VMP is a patented, automated variable metering pump used for fluid dispensing and metering, complete with integrated industrial Ethernet and serial controls. 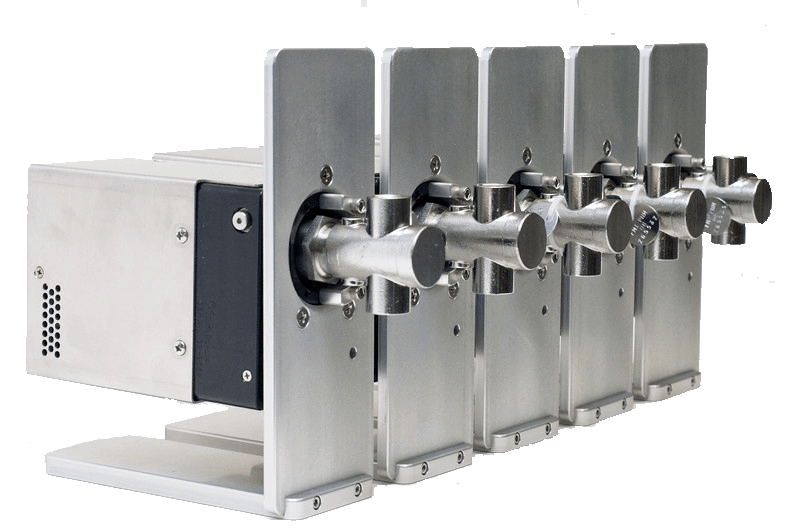 The dispense volume is automatically adjustable from mLs to uLs. 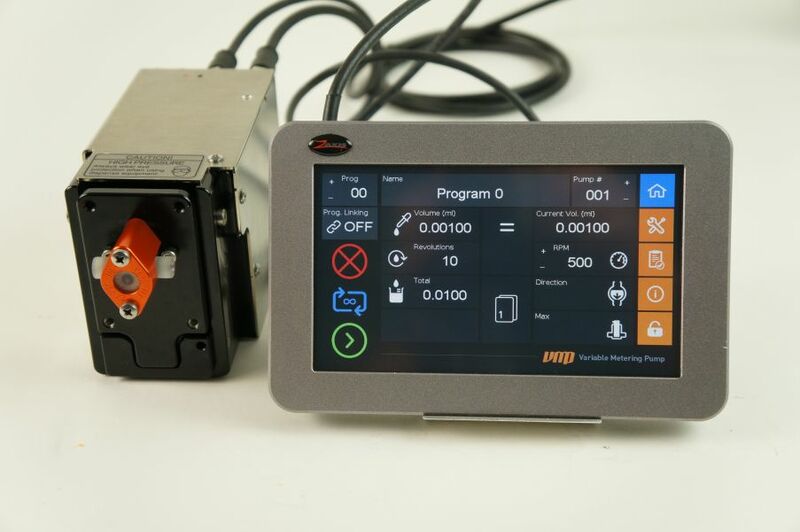 Zaxis’ VMP metering pump can be optimally configured for OEM applications. Check out our specifications to see if the VMP meets your needs. The automated variable metering pump changes the volume dispensed by adjusting the angle of the piston relative to the pump head. 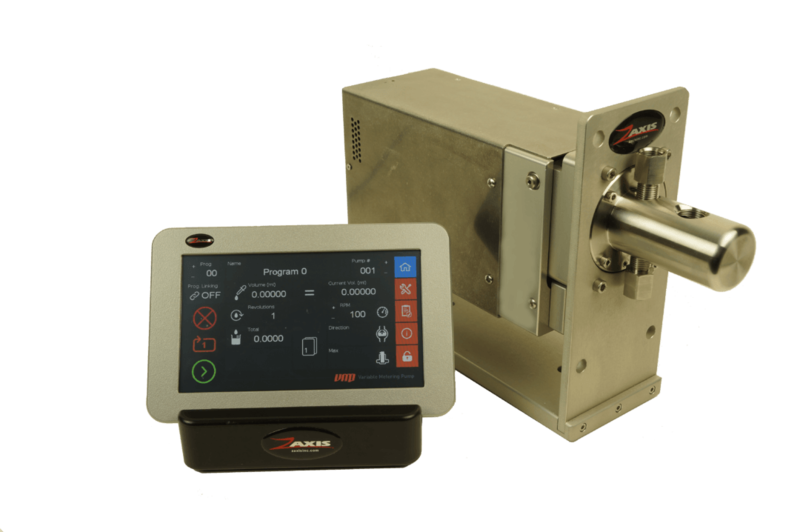 The NEW Dual VMP is a patented, automated variable metering pump used for fluid dispensing and metering, complete with integrated industrial Ethernet and serial controls. The dispense volume is automatically adjustable from mLs to uLs. 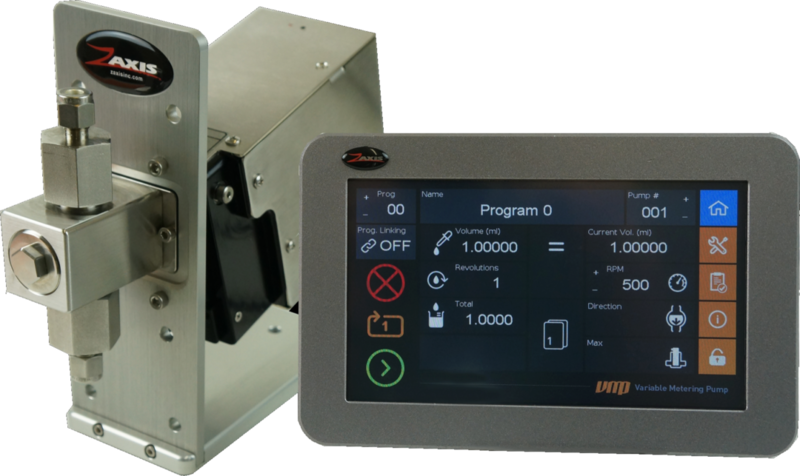 The VMP Micro can be configured for your specific micro dispensing application. Combined with Zaxis’ strong engineering and development team, micro VMP solutions may be the best option. The variable metering pump is a patented, programmable, fluid dispensing and metering device. The VMP Servo Metering and Dispense Pump provides increased performance for the most demanding applications. 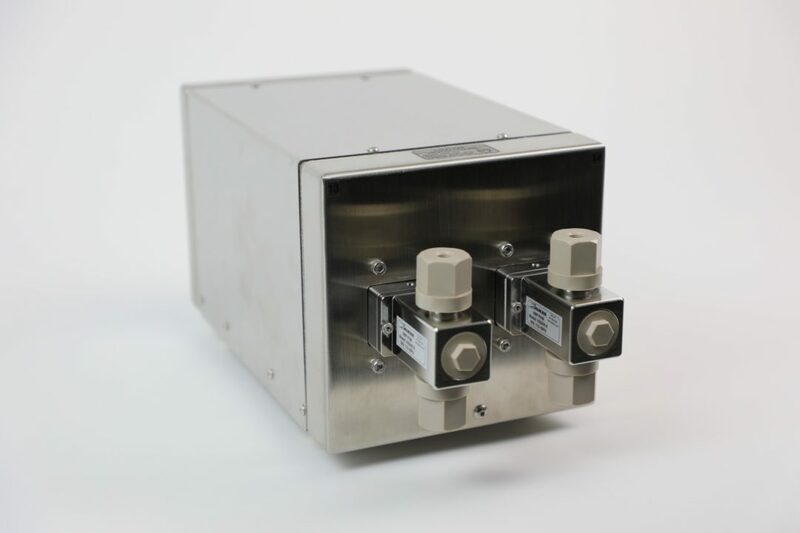 Applications requiring position control, power feedback and full programmability of dispense volume, dispense speed, and dispense direction are ideal for the VMP Servo metering and dispense pump.